The use of antibacterial compounds in soaps and disinfectants is becoming a growing concern among environmental health experts. Recently it has been discovered that pregnant women and their unborn babies are most vulnerable to harm caused by these chemicals. The biggest problem with these chemicals is they can lead to developmental and reproductive problems in animals and potentially in humans. It’s also well known that these chemicals contribute to antibiotic resistance; making antibiotic drugs increasingly less effective. You are much better off using ordinary soap and water, and diluted essential oils such as eucalyptus or tea tree, white vinegar and baking soda if you need a stronger disinfectant. Pregnant women and the rest of us are best off avoiding chemical antibacterial products. A wide range of chemicals accumulate in our bodies as time goes by. This places an enormous strain on your immune system and detoxification channels. 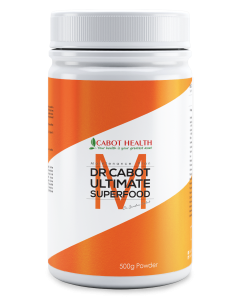 The superfoods and nutrients in Ultimate Superfood powder help to improve detoxification and reduce your body stores of environmental chemicals.